What must you do when the mysterious spring gobbler goes silent? It was nearing the end of the 2014 spring gobbler season when I invited my good friend and sportswriter Alan White to close out the last three days together on my leased property. We headed out this first morning with rain in the forecast as we settled in along a strip of large hardwoods at the end of a long pasture. As dawn turned into a gray daylight, we had not heard a single gobbler sound off. Shortly after daylight, a turkey sailed from the trees and landed at the far end of the pasture. I glassed him with my binoculars and could see that the bird was a gobbler. After watching the bird for a few minutes, both Alan and I did some light calling, just enough to get the birds attention. The gobbler was soon in full strut. A short time later, we noticed another bird in the pasture near the gobbler. Even from the long distance, it was obvious that the bird was a hen. It didn’t take long before both turkeys began slowly working their way down the field in our direction. It took well over a half-hour but finally, the quiet gobbler was right in front of us and in clean killing range. Alan made a perfect shot and bagged a nice two-year-old gobbler. As we gathered up Alan’s bird and started for the truck, a steady rain began to fall. Perfect timing, Alan! Despite the shaky weather and totally silent birds, we had completed a successful morning’s hunt. The next day, in much better weather conditions, my friend Cliff killed a fine spring gobbler just across the road from our camp. And on the season’s final day, I bagged a nice tom. The only one of these that made even a single gobble was my bird. When it comes to differing opinions, probably nothing comes as close to turkey hunters and all their thoughts on the matter. However, the one constant among ALL turkey hunters is that they love being in the woods when the birds are gobbling. 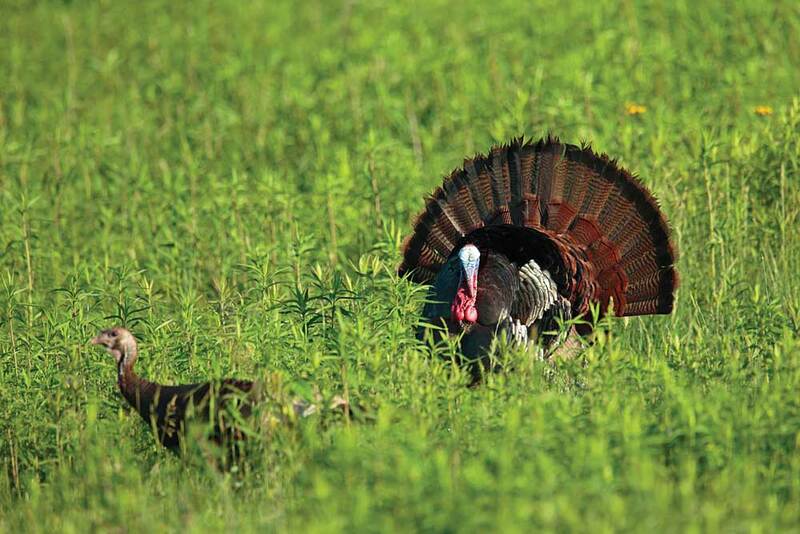 The “gobble” is what drives most turkey hunters. Nothing in the outdoors can match the pure adrenaline rush that a booming gobble can send up your spine. Sad to say, but many days in the spring gobbler woods are just the complete opposite. This can be true even in woods that are full of gobblers as the story above attests. So, how can you be successful when the birds just won’t gobble and give away their location? Very simple: you scout and find them and kill them with patience. This is another thing all turkey hunters agree on. Patience kills turkeys! That said, so does scouting. Our success in these last three days was mostly due to my friend Cliff’s scouting efforts. As turkey hunting guides, scouting is the single most important part of our job. 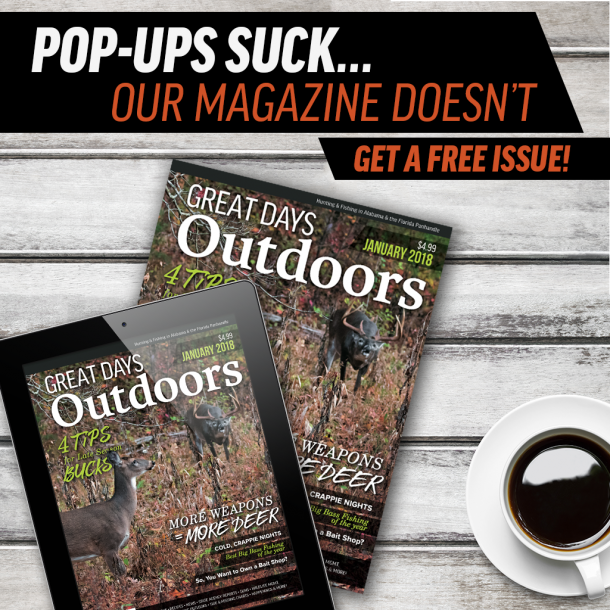 While I’m no big fan of deer hunting, I do know that those deer hunters who put the time and effort into serious scouting are far more successful than those who don’t. Add a good bit of patience to that and it’s hard not to be successful. When turkeys will not gobble, you will find that reverting to the same tactics as deer hunters will be your most successful approach. While not as exciting, it’s still a very effective way to hunt turkeys. This does not mean that you put your calls away. You’ll just have to tone it down a bit. If the turkeys are not real vocal then you shouldn’t be either. That said, it’s still a good idea to let them hear your calls. They will still come to investigate the calls, but they will do so quietly. Always stay alert for the sound of gobblers drumming. The fact that fresh sign is nearby (you shouldn’t be set up there if it’s not) means that most likely, the birds are in hearing distance of your calling. Is this the only method of hunting you can use to be successful on turkeys when they are in these gobbling lulls? Not at all. I’m personally what is referred to as the “run and gun” type of turkey hunter. Sitting for hours in one spot just ain’t my cup of tea. Even when the birds seem to have lockjaw, in most cases if you cover enough ground and stay with it all day, you can find a bird that will talk to you. While this is true, what is also true is that this is far easier on those who are young and in very good physical shape. You may have to cover several miles of woods before you find a bird that will answer you. Very often, however, spring gobbler will be cooperative. There is some reason these birds will gobble when the others won’t say anything, and you will find them more likely to play the game with you. In the end, there is no big secret to hunting turkeys that are not gobbling. It’s like any other kind of hunting. Mother Nature throws you a curve ball on some days, so a slight bit of altering your tactics may be all you need to be successful. Thoroughly scout the woods for fresh sign, hunt hard (perseverance kills turkeys too) and be as patient as you can be. That’s the only real secret you need to know.